The nation's capital Washington DC is not only home to iconic museums and elite performing arts centers like the Kennedy Centre, but also one of the best trade show convention centers in the country! The city is where business and history intersect, and we've chosen some of our historic best sellers to help you promote your business while exhibiting in Washington DC! As the nation's capital, Washington DC is an inspiring place to exhibit your business, products, and services using our vast range of trade show displays! Where is the Washin gton DC Convention Center Located? The Walter E. Washington Convention Center is located at 801 Mt Vernon Place, Washinton DC 20001. It features 2.3 million square feet of prime exhibiting space and a flourishing market sector! Why is Trade Show Booth Important? 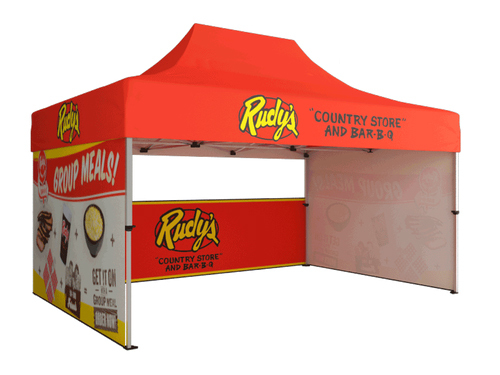 Trade show booths are a very effective way of marketing either a product or a service. It is a good way to present your product or service to many people in a short period or time. With that being said, trade shows are pretty expensive to attend. It costs money to design a booth, hire staff and to travel to the trade show. However, a successful trade show can lead to the sale of many of your products or services and can be both a great long-term and short-term investment. Over the course of this article, I'm going to tell you about different trade show booths and all the things that you need to consider before you attend your first trade show. One of the keys to a successful company is being unique. Whether it is a unique recipe or design, you should market whatever it is that makes your product or company unique and incorporate it into your trade show booth.